MOO is an online print and design company that is passionate about great design and the difference it can make to its customers and the world. Launched in 2006, MOO aims to disrupt the $640 billion global print industry by combining the values of professional design with accessibility and reach of the web. MOO has unearthed a rise in the number of British ‘Venture Creatives’ – those making money from a creative interest outside of their main day job. Research by MOO and Third City revealed that almost a third (32%) of British workers are making money from creative pursuits – which contributes £15 billion to the UK economy each year. We launched MOO’s super cool range of Square Business Cards aimed at people living these double work lives – one being their day jobs and the other cash-making, creative pastimes. They need something a little less ordinary. 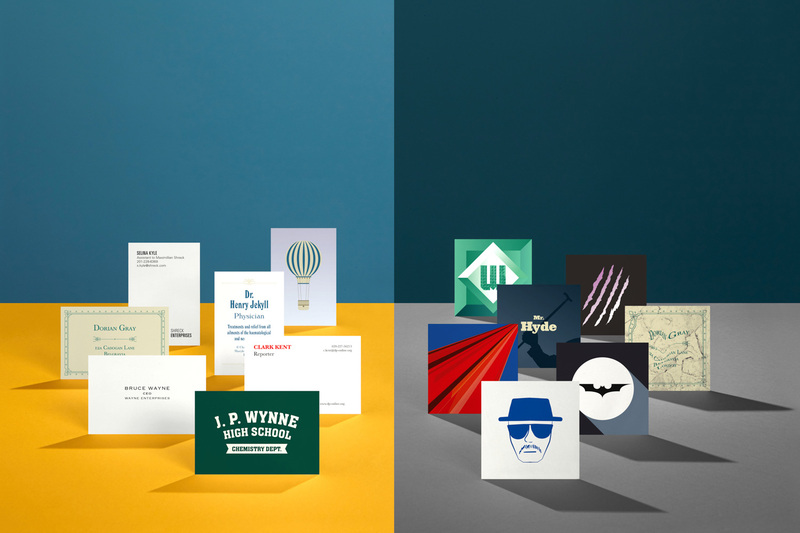 With that in mind, we designed a series of business cards for well-known characters with dual identities, among them Breaking Bad’s Walter White and Heisenberg, Jekyll and Hyde, and Bruce Wayne and Batman. Highlight coverage included TrendHunter, Design Week, Gizmodo, Mashable, the Evening Standard and GQ.com.